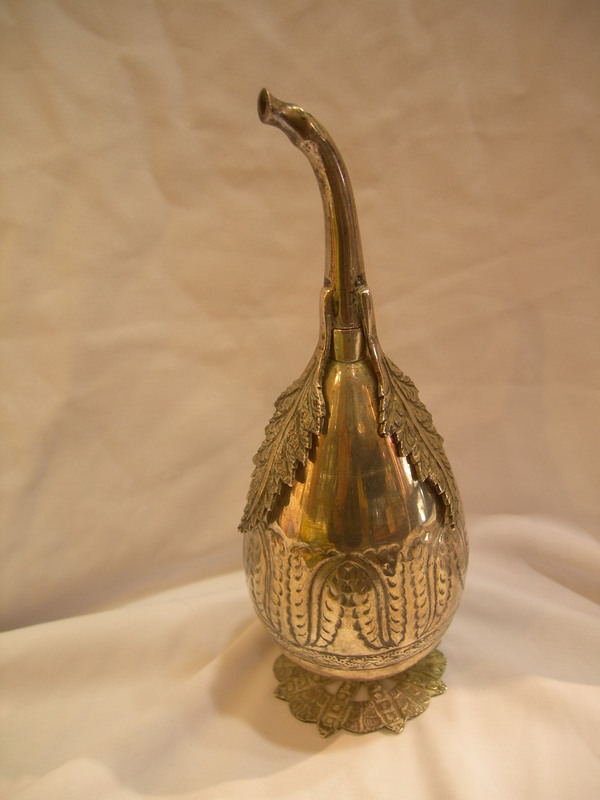 Antique late 19th century solid silver Ottoman Havdalah rosewater sprinkler. 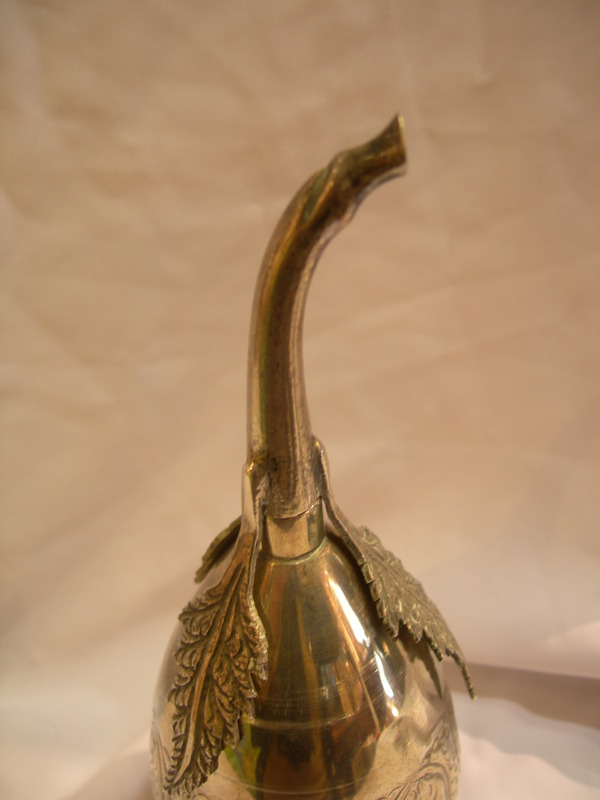 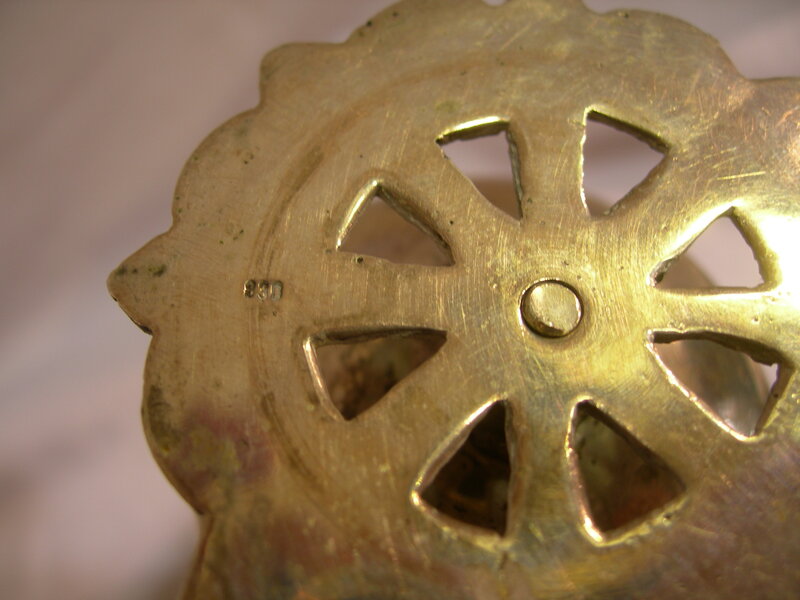 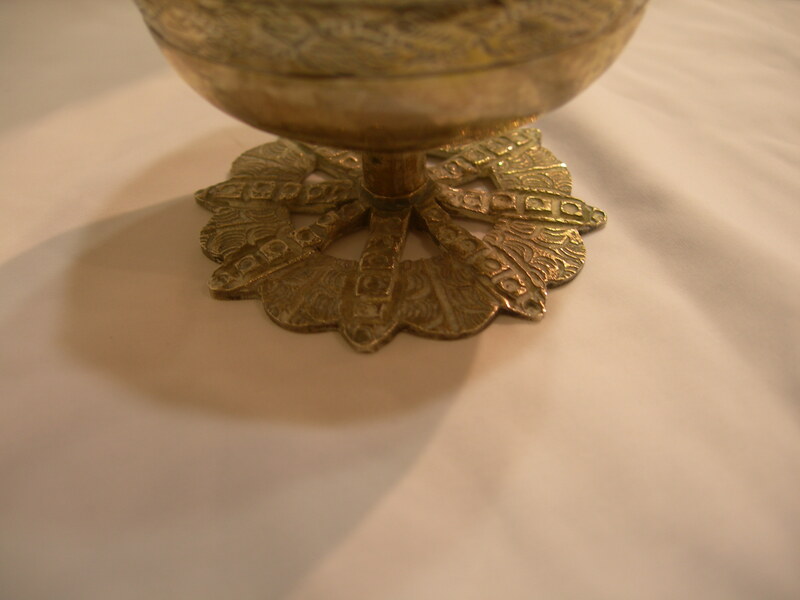 spout,applied with three cast leaf decorations.Set on an openwork circular base. 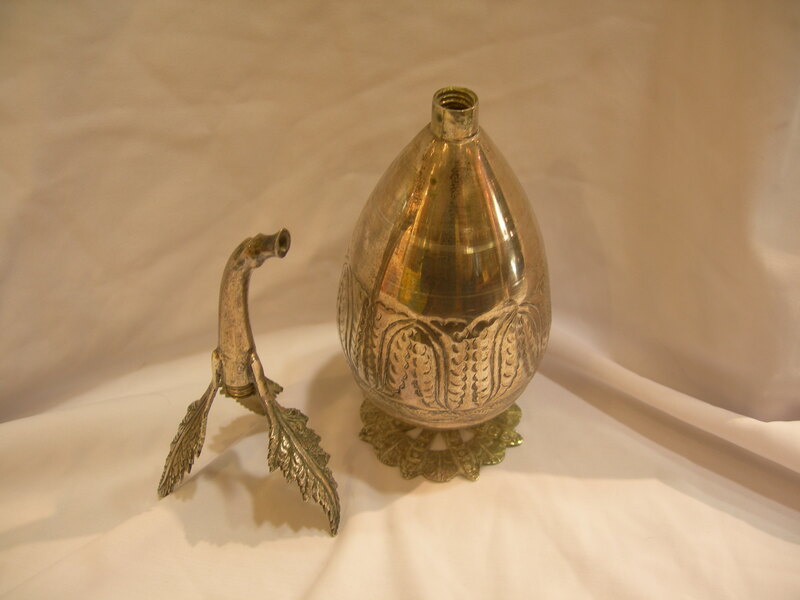 Hallmarked 830. 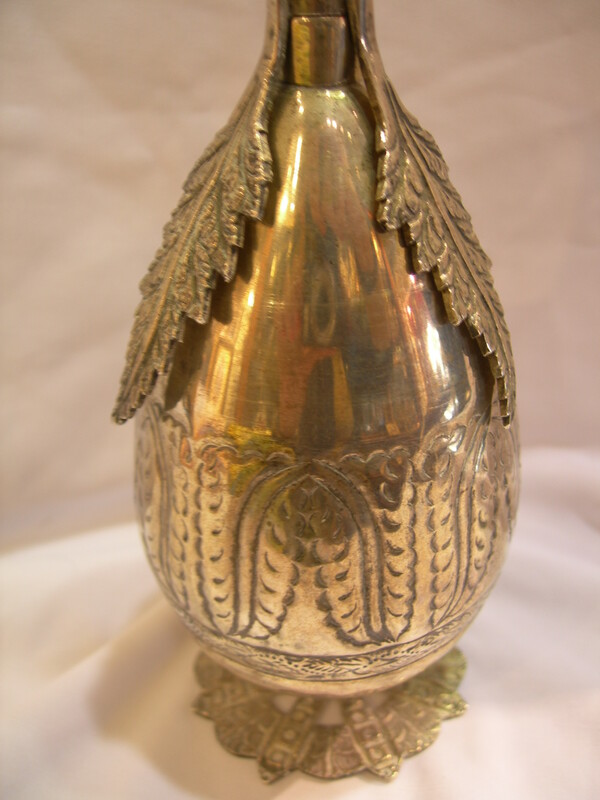 Height 18.5cm Weight 207 grams.